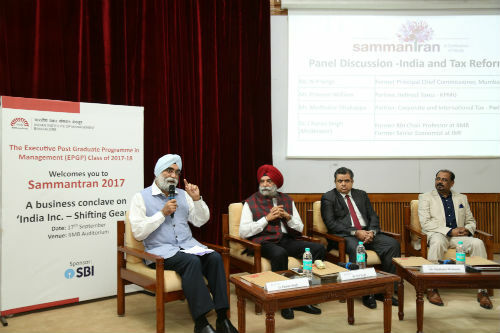 Bengaluru: The annual business conclave ‘Sammantran 2017’, organized by the students of the one year Executive Post Graduate Programme in Management (EPGP) at IIMB, proved to be the perfect forum for discussions on trends and opportunities in India’s fast-evolving business environment here today. “India is an evolving economy and the contribution of the automotive industry in the country’s economy is immense. India is now the world’s largest two-wheeler market and world’s fifth largest automotive market,” said Malo Le Masson, Head – Global Product & Planning, Hero MotoCorp Ltd., in his keynote address at the conclave. Themed around ‘India Inc. Shifting Gears’, the conclave had keynote speaker sessions, panel discussions, industry talks and quizzes. Malo Le Masson spoke, at length, about the ‘Make in India’ initiative in the context of the automotive industry, about regulations and future investments. “Make in India is a huge initiative for the automotive and auto components sector. Sometimes, in India, we do not immediately see the changes which are happening, like policies, tax reforms, etc. But, India is making an impact on the world map. We are good at manufacturing at competitive costs – in fact Indian manufacturing costs are among the lowest. India is among the largest auto markets worldwide. With BSLV, India’s technology will be at par with the world. India has the potential to emerge as a manufacturing hub,” he said. Pointing out that India had to now ‘shift gears’, Le Masson recommended a few measures which could be adopted for further growth of the sector. “The Government’s vision should be to try to see if we can change the curve of supply and demand. To make the vision into reality, we need to look into elements like incentives, slow charges, fast charges, etc. Another area of focus should be to make vehicles cleaner and bring in greener forms of energy. India is in a transitional phase. But it is all about setting in place clear boundaries where all can operate. Performance/competition should be focused on so that investors, consumers and all other stakeholders can benefit,” he said. 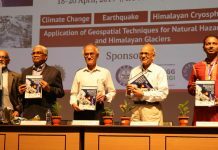 Earlier in the day, IIM Bangalore Director Prof. G. Raghuram inaugurated the event and addressed the gathering. “There is a growing tendency of different domains in business, like operations, supply chain, etc. to merge. The perspectives of all stakeholders are being focused on. Supply chain is moving into the ‘here and now’ mode – it is all about how to take it to next level. One of the greatest takeaways from the supply chain concept is that general continuous systems are better than discrete systems, at any domain. Moreover, technology has to complement this with better IT support. Sometimes, we may look at single point measures. But, with more technology and better skills, we should focus on distribution of life of inventory,” Prof. Raghuram said. The conclave featured a panel discussion on ‘India & Tax Reforms’, featuring N P Singh, Former Chief Commissioner of Income Tax, Mumbai; Madhukar Dhakappa, Partner – Corporate & International Tax, PwC India, and Praveen William, Partner – Indirect Taxes, KPMG. The discussion was moderated by Professor Charan Singh, Visiting Faculty from the Economics & Social Sciences area of IIM Bangalore. The Industry Talk was delivered by Kamal Bali, Managing Director & President, Volvo India. Describing India as “a land of severe contrasts”, he said one had to combat several legacy challenges like poverty, infrastructure, inequity, inefficient and high logistics cost, inadequate educational and vocational skills, need for new jobs, maternal and child mortality, etc. Listing measures to be adopted to steer new India to higher growth, he said: “Financial and social inclusion is a key factor. There should be balance between responsibility to create jobs and new technology, more focus on creating pool of skills and development of new jobs as well as vocational skills, greater sustainability focus, bringing in culture and mind-set of innovation and experimentation, attracting right talent, need for new competencies, data privacy, collaboration between all stakeholders, new mind-set to deal with disruption, focus on public policy and legislation, marriage between future culture and strategy,” he said, observing that India Inc. should shift from creating products to creating brands. “Mega trends that will reshape the future are digitalization, rapid urbanization, growing sustainability needs and geopolitical challenges. India must push manufacturing and thus create more jobs. Make in India has the potential to ignite a virtuous cycle of demand growth. Economic fundamentals are improving. Now is the time to be in India. You are the ones to take India to the next level. Strive to continue to create customer value,” he told the young managers. Describing GST as “a game changer”, he said it was about making India into a unified market. The afternoon session had a panel discussion on Digitalization in Supply Chain Systems. The panelists were Subrahmanya Sastry, Partner, PwC; Vamsi Ayyagaria, India Regional CIO & Director – IT Engineering, Dell; and Hemanth Sheelvant, Founder, Business Head & Strategist, Bezirk. This discussion was moderated by Prof. D Krishna Sundar, from the Production & Operations Management area at IIMB. Subramanya Sastry spoke on underlying technologies making an impact and their applications on supply chain business models. Vamsi Ayyagaria emphasized customer centricity and collaboration in supply chain systems. Hemanth Sheelvant spoke about digitalisation in supply chain management and emphasized on the cost and revenue angle attached to it. The afternoon’s industry talk was by Akilur Rahman, Chief Technology Officer, ABB India, on how ‘IoT, Services and People will help impact India Inc.’. He shed light on recent developments such as shift to renewables, Industry 4.0 (collaborative & flexible manufacturing) and Smart Cities. He further elaborated on how digital technologies are driving key building blocks of the country, particularly in Power, Automation & Infrastructure, to apply innovations that impact B2B & B2C companies to compel them to move into IoT. The third panel featured Manoviram Rath, Head, Instrumentation & Control, L&T Technology Services; Veerendra Vasamsetty, Innovation Manager & Group Sr. Edison Expert Level – 2, Schneider Electric; and Dattartreya Gaur, Vice President, BU Head, Product Development, Engineering & Smart Manufacturing Solutions-Robert Bosch Engineering & Business Solution Pvt. Ltd. The discussion was themed on Industrial Internet of Things (IIoT) & Automation. This discussion was moderated by Nikhil Dhar, from the EPGP programme at IIMB. Dattatreya Gaur opened the discussion on benefits of using IIoT in manufacturing industry. He also stressed on how Human Resources are beneficiaries of Industry 4.0. “People in the manufacturing area have been working for over 40+ years and know the machines and their performance. 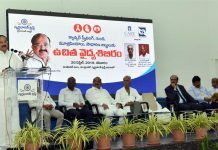 Today’s generation, however, has access to power of knowledge and advancement of technology, which is their biggest benefit,” he explained. 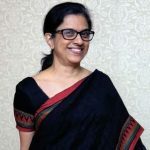 Manoviram Rath focused on digital culture of an organization and connectivity of machines. He said “Machines and systems were always smart. It’s the people that have to adopt to digitalization and thereby increase their efficiency.” Veerendra Vasamsetty spoke on new and innovative segment-specific business models with the help of increased implementation of IIoT. ‘Sammantran 2017’ concluded on the thought that India was on the right path towards implementation of IIoT and Automation across segments to increase integration, reduce wastage and enhance brand name.